Tanzania is among signatories to the BIT with developed countries which offers companies special protection through a dispute settlement mechanism that allows them to sue for compensation when new regulations or policies threaten their profits. The treaty does not provide for regular reviews of issues that affect profitability. If not called for review by October 1, 2018, it will be automatically renewed for another 10 years as provided for under Article 14. Observers say trouble is likely to come from The Netherlands. Civil society organisations are pushing for the review of the BIT between Tanzania and The Netherlands which they say does not serve the best interests of Tanzania. 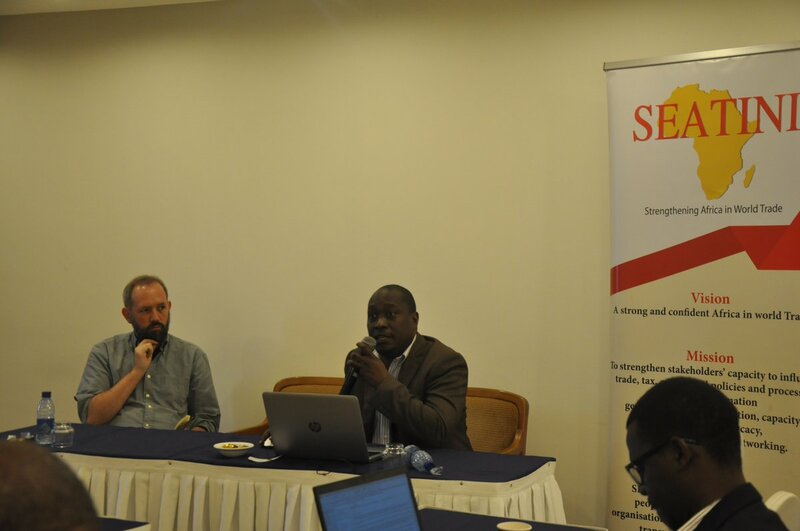 BothENDS, a Netherlands’ organisation, has teamed up with The Southern and Eastern Africa Trade Information and Negotiations Institute (Seatini), HakiMadini from Tanzania and Diakonia to lobby decision-makers in Tanzania to influence the treaty’s review. The lobbies want a rewording of the treaty to make it explicit that the intended investment promotion and protection will be pursued to the extent that it supports local development and not at the expense of key domestic development goals and public interest such as health, environment, human-rights, consumer protection, anti-corruption, consumer rights and the promotion of internationally recognised rights such as labour rights. They want the preamble of the treaty to assert the right of the state to introduce new rules and regulations on investment. ‘To encourage and increase investments between investors of one state party into the territory of the other state party that supports employment, technology and skills transfer, synergises with local firms and, ultimately, contribute to poverty reduction in the host country in a sustainable way’,” reads a joint analysis of the contentious provisions of the treaty. The enterprise definition of investment reduces the risk of attracting opportunistic foreign investment that could target windfall profits and thereafter shift to new locations. Such investment normally has minimal positive effect on the economy of the host country, because it does not create long-term linkages with local production sectors. The proposed definition increases the likelihood of attracting long-term investment which has a higher probability of supporting the host country’s development aspirations by benefiting its citizens. Companies are allowed to bypass national courts and go directly to private international arbitration tribunals such as the World Bank’s International Centre for the Settlement of Investment Disputes the London Court for International Arbitration and the International Chambers of Commerce in Paris, where cases are heard behind closed doors by a panel of three commercial lawyers. No independent judges are involved. Tanzania and The Netherlands signed the Agreement on Encouragement and Reciprocal protection of investments that came into force on April 1, 2004 and is valid for 15 years until April next year. Article 14 (2), of the agreement provides that unless notice of termination or review has been given by either Tanzania or Netherlands at least six months before the date of the expiry of its validity, the agreement shall be automatically extended tacitly for 10 years. “As per this provision, notification by either parties Tanzania or Netherlands must be done by October 1, 2018, beyond which, the agreement would automatically be renewed. Renegotiating the agreement will allow the Tanzanian government and its people to redefine the kind of bilateral investment partnership they would wish to have with the Netherlands,” says the campaign against the BIT. The joint resolution has concluded that the BIT between Dar es Salaam and Amsterdam has been overtaken by events and is likely to impact Tanzania if it is not called for review. Mr Ilge gave an example of Burkina Faso, where BothENDS and other local NGOs pleaded with the government to review such BITs before they were extended and address the real needs of the country. The consortium of NGOs also called for harmonisation of negotiations with investors coming to East Africa for regional benefit. EAC partner states are currently preparing an EAC investment model treaty which emphasises the need to have a common ground for negotiations with investors. Seatini Uganda country director Jane Nalunga called on EAC states not to compete among themselves, by introducing incentives to investors to outcompete peers. John-Bosco Kanyangoga, a Kigali-based trade and investment consultant warned that the lack of a proper negotiation framework leads governments to settle for less in deals, neglecting the needs of the people and issues that matter including human-rights and the environment. Tanzania has signed 18 BITs for protection of investment, 11 of them with Canada, China, Denmark, the UK, Netherlands, Finland, Germany, Italy, Mauritius, Sweden and Switzerland in force.